For those seeking passport services, the app can be used for providing guidelines on how to apply, the documentation required, payments for services etc. The app will link with Google Maps to provide the user with directions to the nearest passport office. Carmen, from Athens, Georgia, USA, wants her US Passport. Do you need to get your American passport renewed fast? There are ways that you can have an express USA passport issued quickly through the United States government. That way you can undertake your trip without having to stress about whether the post is going to deliver your passport on time. When you use a passport service to help you, they can ensure that your passport is processed within 24 hours and then sent to you through an overnight postal service. This means that you will have the passport within 48 hours. There are requirements that you need to know about and have ready so that you can ensure there are no processing delays. When you use the service, they will ensure that everything is filled out correctly. A 24 hour processing, is the quickest option that is available in the United States. 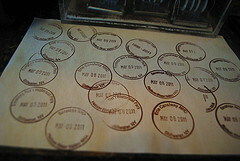 The normal processing time for a US passport is estimated at eight weeks. Therefore you can see that the express processing option is a very useful choice when you have limited time before the dates of your travel arrangements. To ensure that you have the paperwork done correctly, there are now websites that are able to help you with the process and make it all a lot more straight forward. Generally you merely choose the option that suits you best and then you enter the required information. Following this you get issued with a case number, which you can use to contact the passport specialist at any time during the processing of the passport. This case number can also be used to track the progress of the passport through issuing and shipping. Some of the different passports that you can have done and renewed include: new adult and child passports, a replacement for a lost, stolen or damaged passport, additional pages and a passport name change. There may be different fees that are incurred for different kinds of US passports provided. There is also an additional fee that is charged for issuing the passport in an expedited fashion. The type of forms that you need to fill in and the supporting documentation you need to attach is going to vary depending on the kind of passport you are requesting. The forms will depend on if you are a US citizen by birth or if you have become a naturalized US citizen. The service can make things very clear for you and help you to avoid time consuming errors. If you by chance are missing some of the essential documentation, then your passport service will be able to help you with organizing new copies. 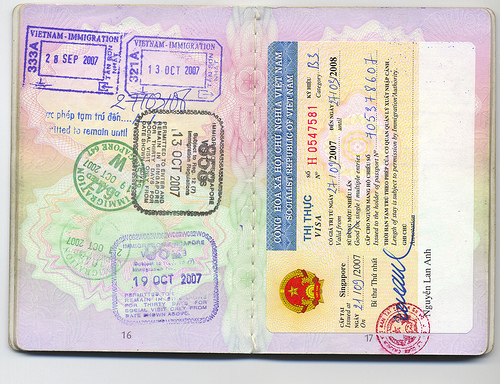 The passport cannot be processed and produced without presenting this documentation by law. You can request the documents online however, without having to wait a long time and go in person. Using an express pass port service can help to make the process simpler for you; to speed up the application process for passport applications, ensure that you have everything completed correctly and get the new passport to you as fast as possible. A service like this is able to take the anxiety out of the process. This way, you will be traveling to your destination in a relaxed and confident manner.